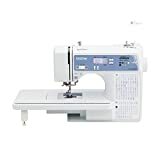 SINGER ProFinish 14CG754 Serger 2-3-4 Thread Capability Overlock is currently selling at $176.75, approximately $3.45 higher than average. With a lowest price of $139.00 and an average of $173.30 it is selling on the high end of its usual range. Price volatility is 1.34% (meaning it does not change often), so you might have to wait a while for the price to drop. Right now this product is a recommended 'ok deal'. 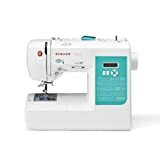 Compare the current price, savings (in dollars & percent) and Buy Ratings for the top Sewing Machines that are closely related to SINGER ProFinish 14CG754 Serger 2-3-4 Thread Capability Overlock. 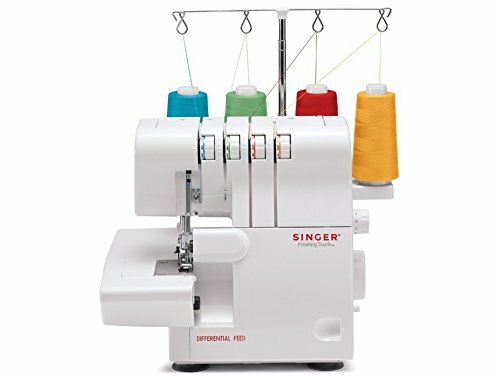 Here is how SINGER ProFinish 14CG754 Serger 2-3-4 Thread Capability Overlock compares with other leading Sewing Machines. FeaturesSINGER SEWING MACHINE: The SINGER ProFinish 14CG754 Serger has 2-3-4 thread capability providing a wide selection of stitch options for all types of projects with professional results every time.ADJUSTABLE STITCH LENGTH SEWING MACHINE: Adjustable stitch length and width, differential feed and color-coded lay-in threading provide ease of use.PORTABLE SEWING MACHINE: Carry handle makes it easy to transport your serger.FREE ARM SEWING MACHINE: The optional free arm lets you easily sew sleeves and cuffs. At 1,300 stitches-per-minute with automatic fabric trimming, this machine will have you zipping through projects from day one.